Martin Odegaard admits it came as a surprise when Zinedine Zidane agreed to return to Real Madrid as head coach. 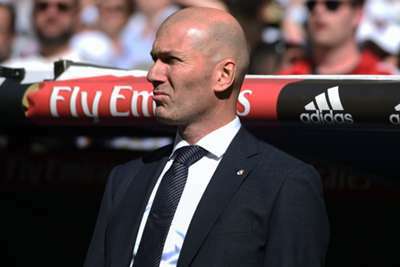 Former France star Zidane, who stepped down after winning a third consecutive Champions League last May, was reappointed Madrid boss on a three-year deal following a disappointing run of results under Santiago Solari. Odegaard, who is on loan with Eredivisie side Vitesse, says the news was a very positive surprise. "I didn't think Zidane was going to return so soon, but I think he's a perfect coach for Real Madrid," he told AS. "He can make a good group again and create something very good. I think it's very positive." Odegaard worked with Zidane both for the Castilla and senior Madrid side, although his opportunities in the first team were limited. I learned so much from you. Proud to have been one of your players! Gracias por todo, mister! The 20-year-old thinks his old coach's return could bode well for his chances of forging a career at the Santiago Bernabeu, although he seems prepared to leave at the end of the season if he believes it will be best for his development. "I get on very well with Zidane, but I don't know what they'll decide about my future," Odegaard added. "I think it could be positive for me because he knows me and can have an idea of what I can give to the team. I know him well and we have a good relationship. "The truth is there are a lot of possibilities for my future and we'll have to talk at the end of the season. As I say, I've not talked to Madrid yet and I don't know what they'll think about me. There will be time to talk in a few months when the season ends. "I think it's really important for my development to have a lot of minutes and I know that's very difficult at Madrid. I'm sure we'll talk at the end of the season and find a solution together that's good for everyone."